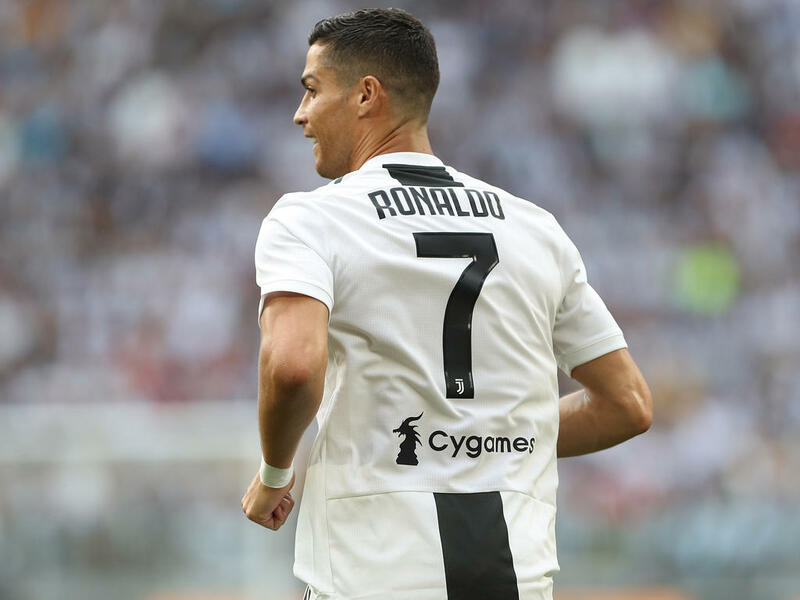 Cristiano Ronaldo is still waiting for his first competitive goal in Italy but the Portuguese superstar made a 2-0 winning home debut with Juventus as Carlo Ancelotti's Napoli came from two goals down to beat AC Milan 3-2 in the second round of Serie A action. Ronaldo, 33, unintentionally played a role in Mario Mandzukic's second goal of the night on 75 minutes after Miralem Pjanic put the hosts in front at the Allianz Stadium. The five-time Ballon d'Or winner joined the Serie A champions from Real Madrid in a 100-million-euro deal. Juve have now won their opening two games after last weekend's 3-2 success against Chievo in Verona. "The danger today was getting swept up in the enthusiasm of the stadium for Ronaldo's first game at the stadium," said coach Massimiliano Allegri. "We went from being frenetic at times to falling asleep at others. "I'm happy with the performance, it was our first head-to-head with one of the other big clubs and it went well. "Cristiano has been with us for 15 days, he worked well in the defensive phase and proved to be a smart lad. "He understood that the Italian championship is completely different from the Spanish one and he has understood the DNA of Juventus. "Then everyone is waiting for his goal, but I'm happy with what he did and how he is settling in because he is a very humble guy." Lazio -- fifth last season -- have had their worst start in over a decade following last weekend's 2-1 defeat at home against Napoli. "We did not expect this start, we wanted a different calendar," said Lazio coach Simone Inzaghi blaming "basic errors" after defeats against the top two teams. Lazio had ended Juventus's two-year unbeaten home Serie A run last year, but apart from a Luis Alberto shot after an hour they failed to threaten. World Cup winner Blaise Matuidi set up Ronaldo for the champions' first chance after 19 minutes but it was Germany international Sami Khedira who rattled the woodwork with Lazio goalkeeper Thomas Strakosha diving to clear a Bernardeschi angled drive. "He is the the best player in the world. For us it is something exceptional, we are very happy to play with him," said Matuidi of Ronaldo. "Of course we're going to help him, we're going to help him score goals..
"We will learn from his game. Juventus is another culture. For him, for us, to understand his game. "He is someone who goes forward very quickly, who is very mobile, we need to understand each other better. We will improve in that sense and I know he will score an enormous amount of goals."